Along with our fabulous teen correspondent, Ava, we got together with New York Times bestselling author Alyson Noël last month to chat about The Soul Seekers series, the appeal of flawed characters, and her amazingly disciplined writing routine. We had such a blast talking to Alyson! Honestly, we could have listened to her all day. In this episode, we also share our book picks of the month. Michelle chose pretty much everything ever written by Julie Kagawa (because, by the way, Julie will be on the show next month!) and Allison chose Every Day by David Levithan. Thanks very much to rockin' publicist Deb Shapiro for setting up this fabulous interview with Alyson! 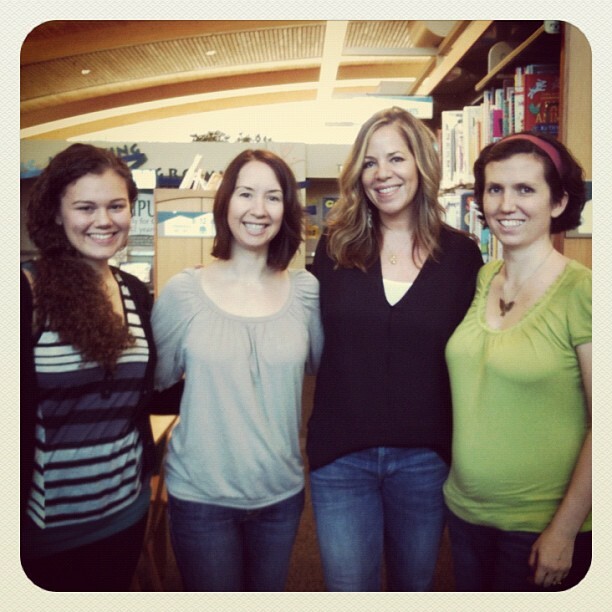 And thank you to the Mission Viejo Library for providing us with interview space. 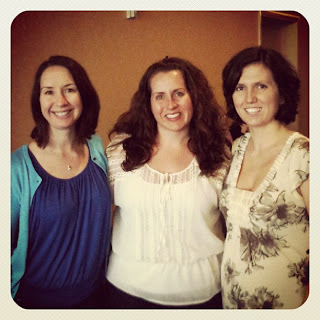 If you enjoyed our interview with Alyson, be sure to catch up with her at alysonnoel.com. Now listeners, we have a giveaway for you! Win a paperback of Evermore, signed by the very lovely Alyson Noël. Leave a comment on this post and tell us if you prefer an ideal love interest in fiction, or someone with a few flaws and quirks. Be sure to leave your email in your comment so we can write to you if you're the winner! Deadline for entries is October 1. Contest open to US residents only. EDIT: The giveaway has ended, but wow! What a great discussion. Congratulations to Crysta and thanks to random.org for making selecting a winner so simple. Last year, we interviewed Sophie Jordan via Skype in advance of the second book in her wildly romantic Firelight trilogy. This year, we were thrilled to get to meet Sophie in person to talk about the final Firelight book, Hidden! The book just came out from HarperTeen, and listeners, you are going to LOVE it. 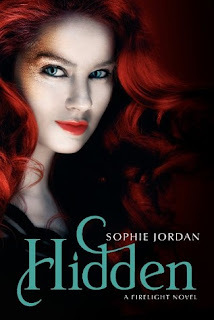 As if it wasn't enough of a treat to have Sophie Jordan back on the show this month, we've also got a GIVEAWAY for you! We are giving away one autographed ARC of Hidden to a lucky listener. Enter to win by leaving a comment on this post, telling us what you found most interesting about this interview, because Sophie is awesome. Be sure to leave your email so we can contact you if you win! Deadline for entries is Friday, September 14. Contest open to US residents only. EDIT: Congrats to Kat who won this giveaway!! On another note... author event alerts for Southern Californians! Big news for Fallen fans! Lauren Kate will speak at the Ovitt Family Community Library in Ontario on Wednesday, September 12, at 3:30 pm. Arrive early for good seats! More info here. The Rancho Santa Margarita Library in Orange County is hosting a Teen Author Panel on Wednesday, September 19th from 4 - 5:30 pm. Meet authors Cecil Castellucci, Christine Fonseca, Janet Tashjian, Pamela Wells, and Sue Zeidler! More info here. Books will be available for purchase at both events. Sadly, we won't be able to attend, but we hope you can make it!